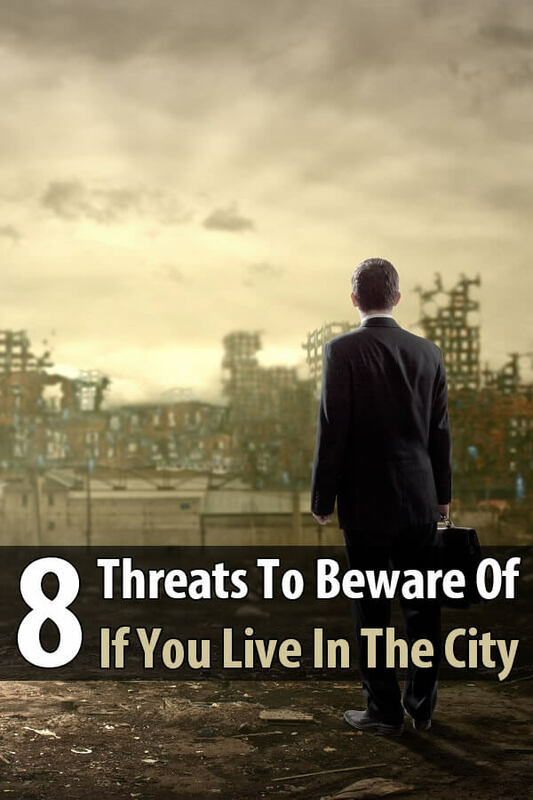 This article is for preppers and non-preppers, and I want to start it with a grim statement: If you live in a major metropolitan area, your chances of survival are relatively low in a large scale disaster scenario. Do you think I’m exaggerating? 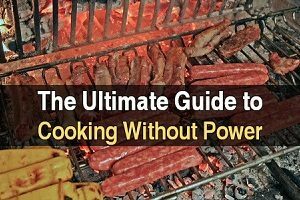 If you live in a city but you’re not into preparedness, consider this: Everything in your life, all the things you take for granted—food, power, clean water, air conditioning, transportation, public services (police, fire department, etc)–are all power-dependent and could vanish in a matter of days if the SHTF in a big way. For example, an earthquake or a hurricane, or an EMP attack–which can be natural (solar mass ejection) or man-made (as in a terrorist attack)–would cause a power-grid failure. Any one of these events could take the power grid down, changing your life radically in a matter of hours or days. For how long? Well, do you want to bet your life on the government’s efficiency? Just look back at what happened with Katrina and how inept the government’s “emergency” response was. Another thing to contemplate is the fact that all major cities are essentially artificial constructs. People and businesses come together in order to benefit from more efficient public services (sewage, water, schools, security, etc), but during a serious crisis, the sad truth is that very few people are ready to pack their bags and head for the hills. In our modern day and age, inhabitants of metropolitan areas are totally dependent upon public services to live their daily lives or conduct business. That includes water and food supplies, which are now abundant, as the “machine” still runs like a swiss watch. The first thing that will break down in a SHTF scenario will be the supply chain, meaning your local food store will be empty in a matter of hours (not just because of buyers, but also because of looters) with no chance of re-stocking in the immediate future. 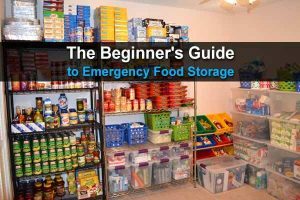 So if you want to hold a trump card and maximize your chances of survival, you should store emergency food rations for at least 30 days. The more the better. The best thing to store if you’re living in the city would be canned goods, freeze dried foods, and MRE’s (if you can stomach them) as they have a very long shelf life (up to 25 years) and don’t require refrigeration. In a crisis, water is more important than food because you’ll be dead in 3 days if you fail to hydrate yourself. So in a SHTF scenario, the failure of water delivery systems–together with water treatment facilities shutting down (they all run on electricity)–would be catastrophic. Basically, you would face one of the following scenarios: the water stops flowing altogether, or it still flows but it’s contaminated and not drinkable. 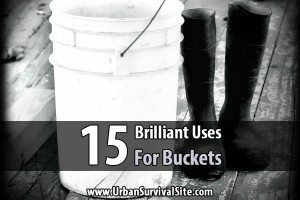 In the first case, you should either store plenty of water or plan on leaving the city. There are several methods for storing water at home, some more efficient than others, some a lot cheaper than others. FEMA recommends storing one gallon of potable water per day per person. Personally, I store two gallons because you also need water for cleaning and bathing. FEMA also recommends having a three-day supply, but you should play it safe and prepare with at least a 2-week supply (the more the better; just be sure to rotate it every year). Bottled water is a great option since it’s highly portable in case you have to bug out. Another option is to store water in large jugs or a waterBOB, (which will provide you with 100 gallons of emergency water). Tap water is already treated with chlorine, so it will last you for a while, provided the containers are perfectly clean. In addition to storing water, you should also get a good water filter and water purification tablets, just in case. 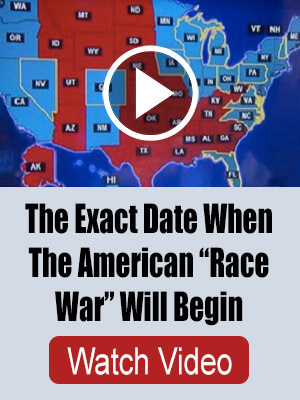 Again, look at what happened just a few years ago–the “Katrina Incident”. Riots, looters, and a total absence of law enforcement. In a similar or larger scale event, you can bet that emergency responders and law enforcement will be hard to come by, which means you must be able to defend yourself and your family. To do that, you’ll need a gun, ammo, and most importantly, you’ll need to learn how to shoot by training regularly. It would also be advisable to replace your regular glass windows with Plexiglas (non-breakable) and/or to add steel bars to your windows. You should also consider reinforcing your doors, replacing them with solid steel doors, and installing heavy duty deadbolts. Sanitation is taken for granted in the modern world, but in a disaster scenario it will become a major issue, and garbage itself will become a killer (rats spreading medieval diseases, viruses, bacteria, etc). In a long-term crisis, sanitation must be taken very seriously, so it’s important to stock up emergency sanitation gear (antibacterial soap, hand sanitizers, garbage/ziploc bags, bleach, band-aids,a 5-gallon toilet bucket). You should also be prepared for fires. It’s possible that fire trucks won’t be able to get through to you, so make sure you buy a few fire extinguishers and keep them on hand (a gas mask/respirator would be great too). Also, make sure you know how to use them. In a grand scale SHTF event, you should be able to mitigate power outages by storing flashlights, long burning candles, and batteries. (Here’s a list of questions you should ask yourself before the power goes out). If you live in a cold climate, you should also consider buying a portable propane heater, just in case (it also comes handy when you go out camping). Here are some other cold-weather supplies you should get. During a crisis situation, your local hospital might be completely overwhelmed. Or if the crisis lasts long enough, they might close their doors altogether. That’s why you need to know how to deal with diseases, wounds and infections, as proper medical care is absolutely crucial for you and your family‘s survival. 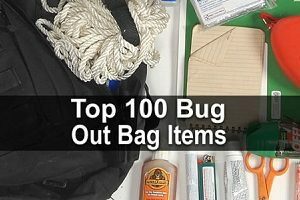 Learning a few emergency medical skills would be very good (there are First Aid courses for that, to get you started), but you should also stock up on medical supplies. Be ready for a scenario in which you won’t be able to use phones or computers. This is crucial because the ability to communicate with others could mean the difference between life and death during a disaster. The most viable form of communication during a crisis situation is a HAM radio, but there are other options. Bottom Line: Survival is possible in almost any environment or situation, provided you have enough supplies, a good plan, an open mind, and enough survival skills. If you haven’t started preparing, what are you waiting for? Warning: if you put bars on your windows you better have a way to get out if there’s is a fire, or your day could be ruined! I live in the country, prep, arm & practice; activities anyone can do without regard to their spelling and grammar skills. The priority here is to prepare for major events, encouraging others to do the same and work as teams in an effort to attain and maintain maximum efficiency. I could care less whether someone possesses college level speaking, writing skills as long as they can get the point and get the point across too. I have found that the pompous element is more concerned with looking down on the team of survivors from a lofty perch rather than being part of the team and playing a part in elevating conditions for all. For an urban (say apartment or subdivision) setting, if there is no power don’t be the house with lights on. Meaning, if you have your supplies and are bugging in, they are only your supplies as long as you can defend them – and not having to defend them is much easier. Make a black-out room or something. That can be said about the city and the country. Country is a better place to weather events, till it isn’t. Read FerFal’s book on this. People moved to the cities, not the country, this also was how it was during the 1930’s. I live in a suburb right now, but am planning a move out (25 or 30-miles or so) in a year. I figure it is out a bit to act as a buffer and still close enough to be able to to my work. We ALL need money and this is not going to change post-SHTF. And the country just doesn’t have enough people to be able to make money. Country or city this will be an issue, store it up and grow your own. This is more a location problem then a city or country issue. Collect rain water (do it now) drill a sand point well, live close to flowing water and city or country it’s not an issue if you filter it. Live in the West and water is a problem be it city or country, live in most of the East and city or country it’s all over the place. Yep it’s a problem in the city, but then if you read FerFal’s book the country has a problem with it that can be just as bad. Go solar, as far as I know the sun shines on the city just as much as it does in the country. Again this is not a city vs country issue, is the country hospital (Oh wait, there are not ANY hospitals in the country, you have to go to a city for one) going to magically going to be open when the city one isn’t? The answer to this is to take charge of your health, get into herbs and learn medical skills. And during bad times the hospital is probably the last place you want to be. They are full of sick people and disease now, post-SHTF it’s going to be much more of a problem. There is a reason people in third-world countries avoid hospitals, they kill people because of all the disease in one. Again this is not a city vs country issue as radio waves have no idea if you live in a city or the country. Are phones or computers going to magically work in the country when they don’t in the city? How did you come up with this idea??? PS: I’m a Ham radio guy, and I live close to a city and my radios work great. Not saying the city is better then the country, but most of the issues in this post are not reasoned out too well. IF YOU LIVE IN THE CITY NOW,YOU BETTER HAVE FAMILY IN THE COUNTRY.CAUSE COUNTRY FOLKS WILL PROTECT THERE AREA TRUELY STRONG.COUNTRY PEOPLE ARE DIFFERENT THAN THE CITY FOLKS.THEY BAND TOGETHER WHEN SHTF.FOR THEY KNOW THE NEIGHBOURS MORE THAN YOU CITY FOLKS.I’D TRUST COUNTRY FOLKS FASTER THAN CITY FOLKS……. Because, Their, Space between your periods and your next word. I think I would trust educated people more than Country. Especially Country “folks” that are conceited and think they know it all and no one else does.